What Packages do 1&1 Hosting offer? How good is the performance of 1&1 Hosting? What support can you expect from 1&1 Hosting? 1and1 is German based Global Web hosting company that has close to 13 million customers, currently employ more than 2,400 people and they have close to 60,000+ servers; this company is well known in this industry and are leaders in web hosting. 1and1 has strong Security features. 1 Domain free for 12 months. 1and1 offers a free domain name (worth up to $20) for all new customers. No cPanel. 1and1 doesnt offer the popular cpanel control panel. Instead 1and1 offers a basic custom control panel. 1and1 need to offer a cpanel option. No support chat. Unlike most other top tier web host, 1and1 doesnt offer a useful live chat support option. 1&1 web hosting looks good: you can get a decent set of features for as low as $0.99. Low prices and lots of features, but tech support is sometimes lacking. It seems 1and1 is big in europe not US.. how is the US service? 1and1 are a German company and have strong presence in Europe. 1and1 do have an US based office and hosting servers. 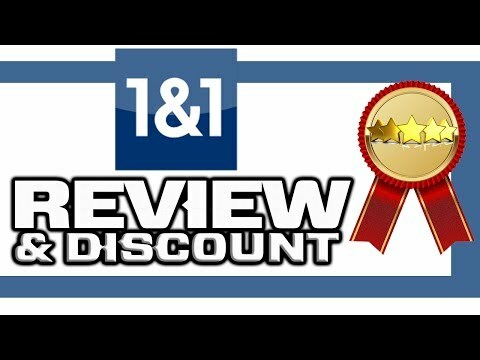 1and1 are not as well know in the US, however, we have rated 1and1 as 3rd best web hosting service. Its very cheap and includes the latest web hosting technology like SSD drives, PHP 7 and HTTP/2. My current host is not so reliable I’ve been looking to switch to another hosting service. My budget is not very big, I may have to try 1and1 Hosting, from the review here, looks like the service will be great.